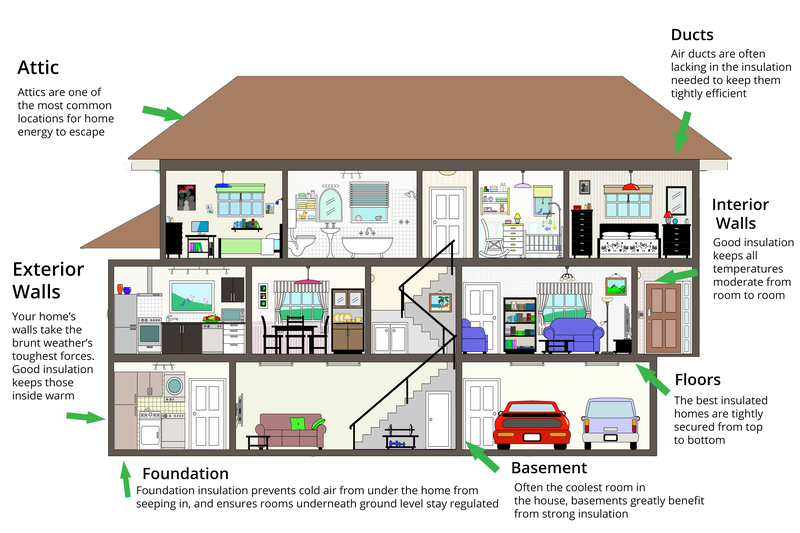 Insulation is a crucial component to maintaining home comfort, and it’s needed in nearly every corner of a home. Homes are designed to rely on insulation in nearly every location of the building envelope. In essence, it is a whole-home jacket, retaining interior heat and reducing exterior cold from entering, or vice versa. Insulation also plays a key role in the home’s quality of temperature control and overall comfort. In many instances, the insulation acts as the strongest defense mechanism against heat transfer. The better the insulation is installed, the more accurately and efficiently a home’s climate can be regulated. Attics are one of the locations within the home in most need of good, thorough insulation. Attics are often cited as one of the primary locations where heat is lost in the home, and depending on the building model and the era it was constructed, it could easily be the biggest source of loss. Most attics are at least partially insulated, but if a home has not been properly inspected by a contractor in recent years, it’s likely that the attic is in need of addition insulation or at the very least refurbished insulation. In particular, the attic’s joists, knee walls, and decking will require insulation, although there are a few steps to ensure an attic in fully insulated overall. Every aspect of the building envelope is going to need good insulation, and that includes the ones beneath your feet. Foundation insulation is the primary stopgap between your home and the consequences of direct contact with below-ground soil and sediment. Issues such as pest infiltration, water leakage, and radon exposure are particular problems for below-ground rooms. Floor insulation is similarly significant, especially for multi-level homes. For any home with more than a single story, or a single story with a basement, the floor insulation is going to help reduce heat transfer as heat rises. This helps keep air conditioned rooms cool in the summer and avoids excess heating costs during winter months. Provide rain drainage, such as gutters, to conduct rain water away from the house in non-arid climates. Slope the earth away from the house for at least five feet at a minimum 5% grade (3 inches in 5 feet). Provide a water managed foundation drainage system at the bottom of the footing when the foundation floor (interior grade) is below the exterior grade. Insulate between the conditioned and unconditioned portions of the foundation system. In termite prone areas, extra care should be taken to prevent termites from tunneling through the insulation. Similar in necessity to floor insulation, these particular rooms/areas within a property require specific attention. Basements and crawl spaces are often constructed differently than any other room in the house specifically because they are subterranean. Basements can have insulation installed in two ways: to the interior and to the exterior. A basement will likely have insulation on its exterior if that insulation was installed during the home’s initial construction. If that exterior insulation proves insufficient for maintaining the basement’s comfort levels, interior insulation can be installed to offset it. Adding exterior insulation to a basement once the home is already built is difficult and largely excessive for homeowners. A home’s walls need to endure a lot of battering from weather conditions. As such, proper insulation is key for preventing drafts and air leaking. In addition, exterior walls act as host to windows and exhaust vents, and thus contain more fenestrations than any other layer of the building envelope. Exterior wall insulation must take into account all windows, doors, vents, and lighting fixtures when it is installed. While exterior wall insulation is absolutely necessary, it is not as frequently replaced or replenished by homeowners for the simple fact that it is more difficult to install without disrupting day to day home activities. 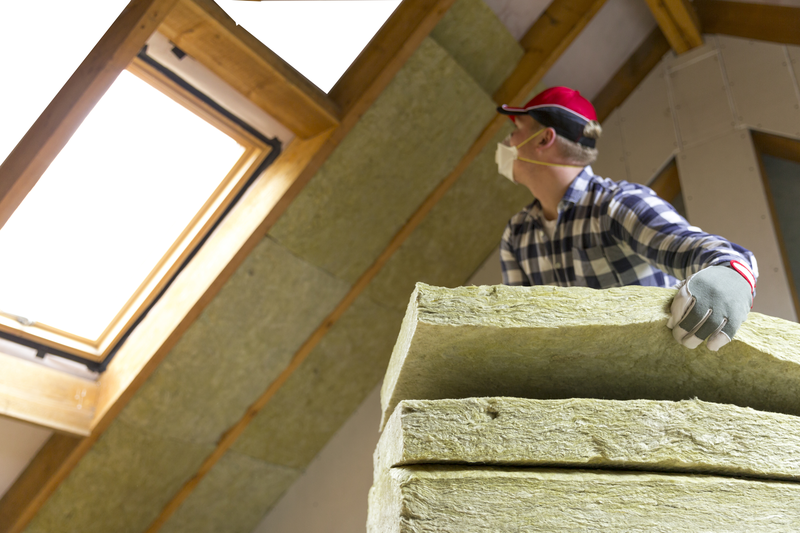 While attics and crawl spaces are relatively secluded, installing wall insulation can be disruptive. While some forms of exterior wall insulation can be installed with minimal disruption, in many cases it is difficult to avoid. It is because of this that adding additional wall insulation is somewhat more expensive than other kinds of home insulation. Nevertheless, it is equally as important — if not more so for cold climate regions — to inspect and ensure the wall insulation is sufficient for the home’s heat control needs.